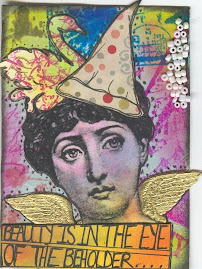 Lisa sparkle and stamps: Sob, sob..... my last Stampotique DT project. Sob, sob..... my last Stampotique DT project. Oh. It's over. 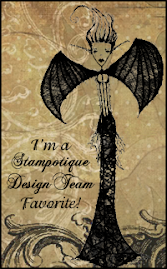 I so enjoyed myself being a swanky Stampotique guest designer. 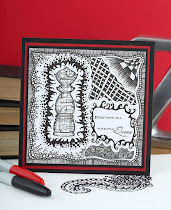 Here's my last project, made for the monochrome theme of this week's Stampotique designer challenge. I went purple, purple and a touch more purple for luck. I paper pieced the houses and gave my heart-throb a spot of purple colour too. Isn't he handsome? Love the shimmer on this, great color choice! He's fabulous, and so are the colour shades... A great finale to a brilliant guest month!